I like the posture of the man on the left. He was groomed very well. His hair was thin, pure white and combed back, giving the appearance of a wispy skeleton of a coiffure. I barely finished the bottom half of the man on the right when he was called in to give a blood sample. I didn’t want to leave him headless, so I put a circle where his face should have been. 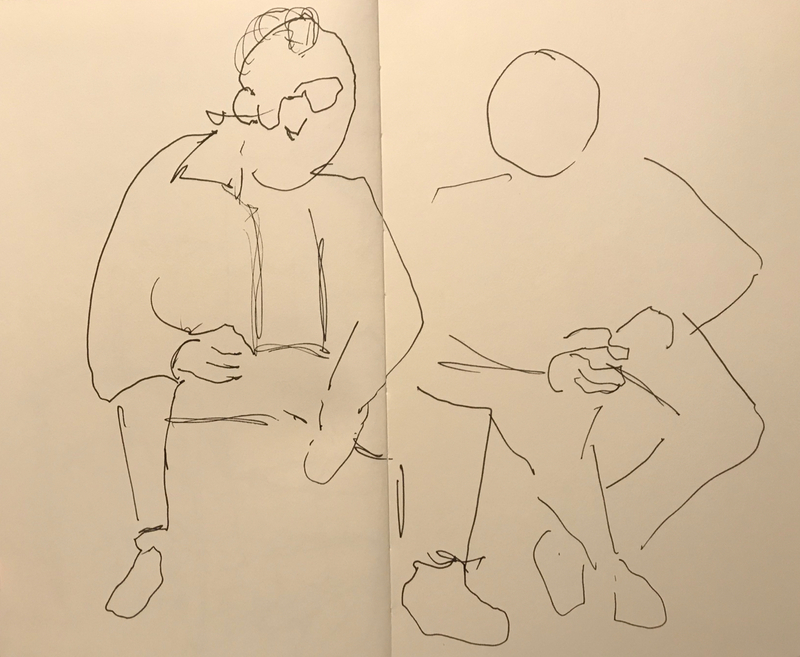 This entry was posted in Personal Stories and tagged art, blind drawing, creative process, drawing, pen and ink sketch, portrait, sketch, unfinished art, visual art, Waiting Room. Bookmark the permalink.